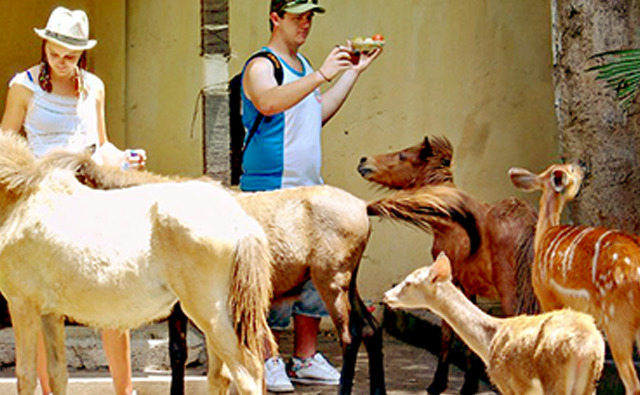 Zoo Explorer package is a famous fascinating zoo adventure journey and popular activities zoo tour program in order to hold an animals encounter, also having fun in miniapolis jungle water park. Bali Zoo Park Explorer Package highly recommended by Sorga Bali Tours (Online organizer for holidays, Adventure packages and Bali tour service activities). For detailed information and booking Bali Zoo Park Explorer Ticket please "CONTACT US" at Sorga Bali Tours (Best Bali Holiday Tour Packages).